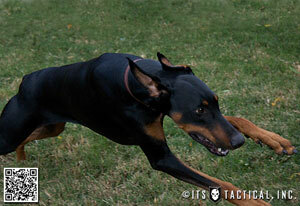 This is the first article in a follow-up series to our previous series, Dogs of War. In Dogs of Defense, we’ll focus on dogs for personal protection. Today we’ll begin by asking if there is a need for trained protection dogs. The next article will discuss whether there’s a danger associated with “weaponizing” a dog, followed by an article that considers breeds, trainers, and the responsibilities of the owner of a trained dog. Later articles will discuss the safety of those around a trained protection dog and how to maintain that dog’s peak performance. We’ll also illustrate methods of integrating a protection dog into a home defense plan, as well as how U.S. laws relating to service dogs can be used to keep your family safe. Should You Own a Personal Protection Dog? Any security minded person, especially in today’s society of ever rising crime rates and increasing violent crimes, should seriously consider owning a protection dog. Do you own a gun? You should seriously consider owning a protection dog. Do you have a family to protect? You should seriously consider owning a protection dog. 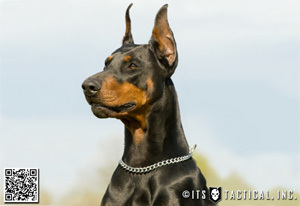 While there are many other valid reasons to own a protection dog, let’s examine the above questions in more detail. Increasingly, we find ourselves in an ever more violent and criminal society. Economic depressions tend to increase this trend as more people find themselves out of a job and desperate to find money and goods to take care of themselves. Of course, many others simply commit violent crimes for the pleasure they receive from seeing others suffer. Home invasions are one of the most dangerous crimes, often resulting in violence against the victims. Violent crimes in general have steadily increased for more than 20 years. According to the Bureau of Justice statistics on violent crimes, you have a 126% chance of being a victim of violent crime at some point in your lifetime. So do your children. Many people think that a security system will protect them from violent crimes within their homes. I can tell you, as a Military Police Officer and Sheriff’s Deputy, there is little chance that law enforcement will respond quickly enough to stop a crime from occurring. Others claim that their martial arts training will protect them. Sadly, this is woefully inadequate in most real world encounters. Are you prepared for multiple attackers taking you by surprise at night when many still have difficulty clearing their mind enough to respond appropriately? This does not even consider the fact that most of these violent encounters involve weapons on the part of the attackers. But the most popular response to protecting your home from violent crime is having a gun readily available and being trained to use it. I’m an advocate of the second amendment and strongly encourage anyone who can own a gun to do so and learn how to effectively use it. But is having a gun enough? Home invasions are fast paced and chaotic. You won’t know if there’s one attacker or many. Depending on the layout of your home, you may leave your family vulnerable by unknowingly allowing an attacker to bypass you while you clear other areas of your home. There is a high probability that you may find the attacker between you and your family, even if they are on the other side of a wall, restricting your ability to shoot due to the threat of over-penetration. If you have a family, your home defensive plan probably looks something like this: We are alerted to a threat, your wife gathers the children and calls the police while holding a firearm as a last defense, in case something should happen to you. You grab your handgun or shotgun, and begin clearing your home to ensure that there is no threat. Now let me ask you a question: With you by yourself, are you really prepared to take on several attackers with weapons of their own? Please put away the bravado for a second and for the sake of your family, really think this one through. Are you willing to rest the safety of your wife and children on your ability to single handedly clear your home if there are actually attackers present? Think about that long and hard, because if it ever happens to you — and the chances are increasingly greater that it will — you do not want to make the wrong decision here. Here is another question to think about: if a special operations team were going to enter your home and clear it, would they send one guy, or a team with a K-9 force multiplier? Can an individual highly trained operator conduct this task at peak performance alone? Unless you are one of these few men, then soberly consider your own limitations and what failure means to your loved ones. Let’s pretend that you are Rambo, capable of taking on vast hordes of Vietcong, zombies and home invaders with ease. You have millions of rounds of ammunition, several strategically placed mini-guns and you even decided to set up some claymores under your porch; just in case. No one is getting into your home and harming your family on your watch. What about when you aren’t there? “I will always be there,” you reply with confidence. Really? You don’t go to work? You don’t travel for your job? You don’t take overnight hunting or fishing trips with the boys? Will you really always be there? What about when your wife takes a trip to the mall alone in the evening. Some dear friends of ours just had a terrible experience where the wife was kidnapped in a car, driven around for several hours, and then dumped back off at the mall. Terrible situations like this happen. Are you sure they will never happen to you? How can you, as a loving protector, ensure that your family will be safe in your absence? The real answer is that you can never fully ensure it, but you can certainly take steps that give you and yours a much increased level of protection. If you have a trained protection dog in your home, you have a team of defenders instead of being alone. Your trained protection dog can indicate the presence of an intruder, often before they ever actually enter your home. Your trained protection dog can be left at a key location to prevent anyone from circumventing you and reaching your family. 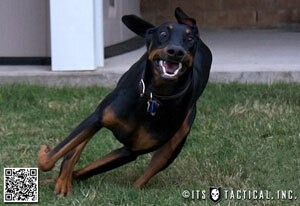 Your trained protection dog can distract the first attacker, allowing you to focus on the second. 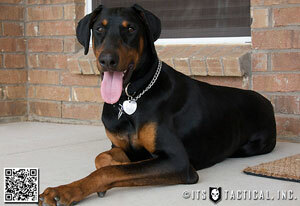 When you are away, your protection dog can warn your wife and children of an intruder. The dog can be commanded to bark, warning off would be attackers. The dog is now the teammate of your family, able to assist them if the need should arise. When you wife goes out to the mall at night, she can take along the dog. Often the presence of a dog is enough, but, even if that doesn’t deter them, the bite will certainly be worse than the bark. Force multipliers refer to the idea of using something relatively small or simple to give you a significant advantage in a fight. That is what a dog brings to the table. 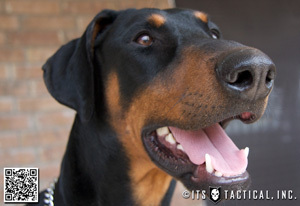 Should you own a trained protection dog? I strongly believe that you should. We’ll explore this question further, along with the process that you should use to evaluate your specific situation, in the upcoming articles in this new series. Because so many questions arise immediately when this topic is brought up, I wanted to use this opportunity to provide an overview of what the articles in this series will contain. If you have any questions that do not seem likely to be covered in the series, feel free to ask in the comments below or contact me directly.